We just found a small lot of Big Hole Flat Top Uppers, designed and built with a .315 front pin hole to fit the early Colt SP1 and Sporter lowers with .315 front holes. This eliminates the need to use an offset pin, which requires 2 screwdrivers during assembly / disassembly of these rifles. Special Note: Do not use on a full auto weapon without checking sear timing. Also, the last picture is to show color match with early Colt SP1. 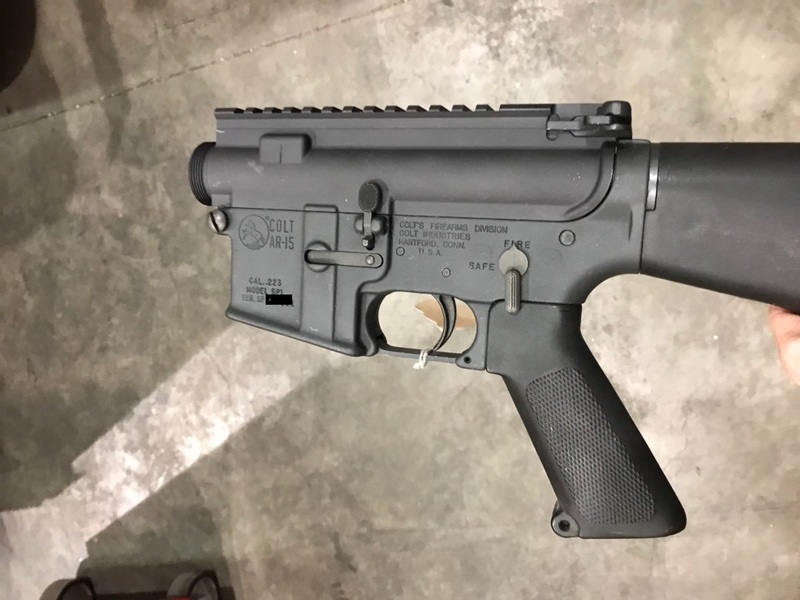 Lower Receiver is not included. I agree fully with Phil Andrews' excellent review of this upper. I will add that I had to remove a small amount of aluminum from the bottom of the rear hole with a round file to allow the takedown pin to pass through. I left the pin fit very tight which gives me zero movement between the upper and lower. I'm so happy with this upper that I just ordered my third one. This is a original dimension big hole upper. The front lug is longer than a .250. It has plenty of material around the bottom of the lug. The lug is wedged on the edges the same as the origonal. The fit is very good. The finish is close. This is well worth the extra cost over a D/D if you want it to look true origonal Colt.